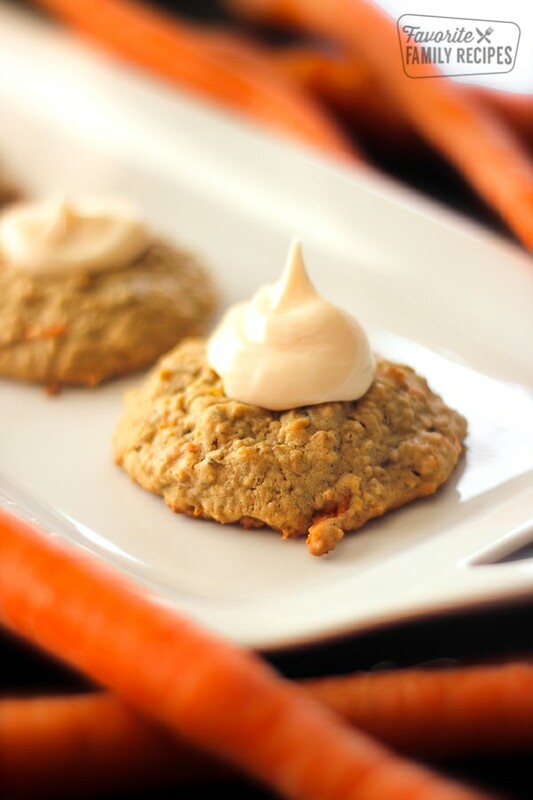 These Carrot Cake Cookies with Cream Cheese Frosting are a MUST for carrot cake lovers! You will love the frosting. So many delicious flavors in one little cookie! 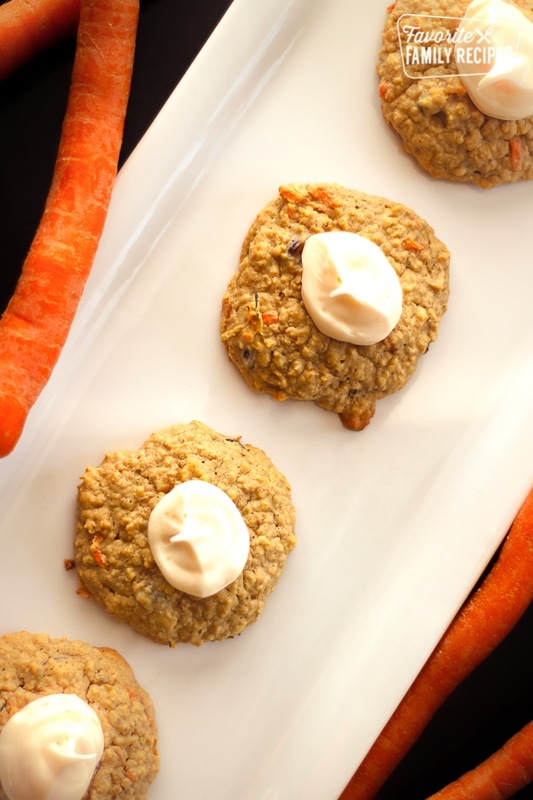 If you are a carrot cake or a cookie fan, you are going to LOVE these carrot cake cookies! The cream cheese frosting on the top is so yummy! We have made these with raisins and without and both ways are really good. Mix the cookie ingredients at a low speed, just until blended. Drop by rounded tablespoonfuls onto a cookie sheet. While baking, beat together the cream cheese frosting ingredients. When cookies are cooled, scoop the frosting into a ziploc bag and cut a small hole in one of the corners. Pipe some of the frosting onto the top of each cookie. Wow! My husband wil love these!! Thanks for sharing! Great taste to these cookies. Don not try to make them larger than the tbsp that the recipe calls for or they fal apart and don’t bake as well. The frosting required about 2 cups of powdered sugar and this was more than enough for the batch, delicious! Saw the recipe this morning and made them this afternoon. They are incredible. This recipe will be added to my Christmas ones. By the way, I used gluten free all purpose flour and it worked perfectly. Thank you so much!